It’s me Mishka, here with (my first ever) Catalogue Secrets post! 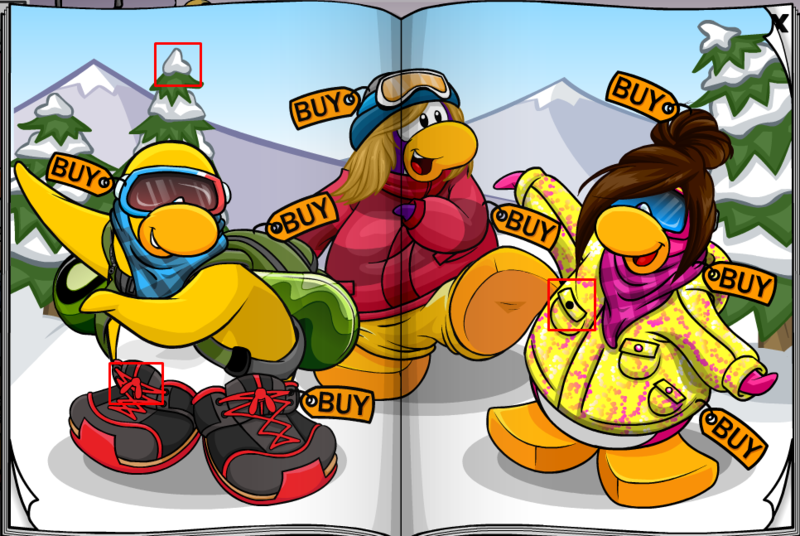 In this post ill be showing you all the catalogue secrets for the current penguin style catalogue so you can buy or wear those super secret items hidden in every month’s catalogue. The Lady Frankenguin is located on the golden buckle on the witches hat. To buy the Mask click the gem on the right shoe of the headless horseman. 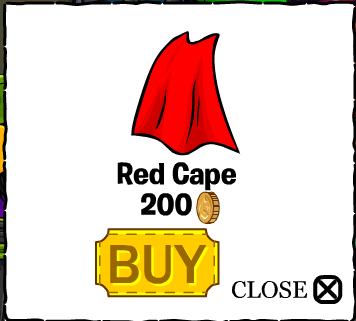 The red cape is hidden on the belt buckle of the middle penguin. 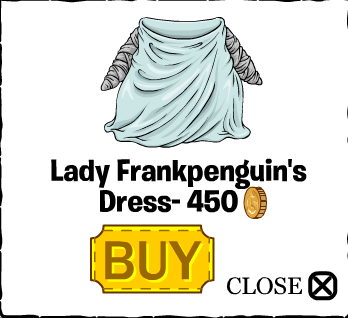 To find Lady Frankenpenguin’s Dress click on the nose of the Pumpkin. The Skeleton Costume is hidden on the golden puffle on Cleopatras headdress. 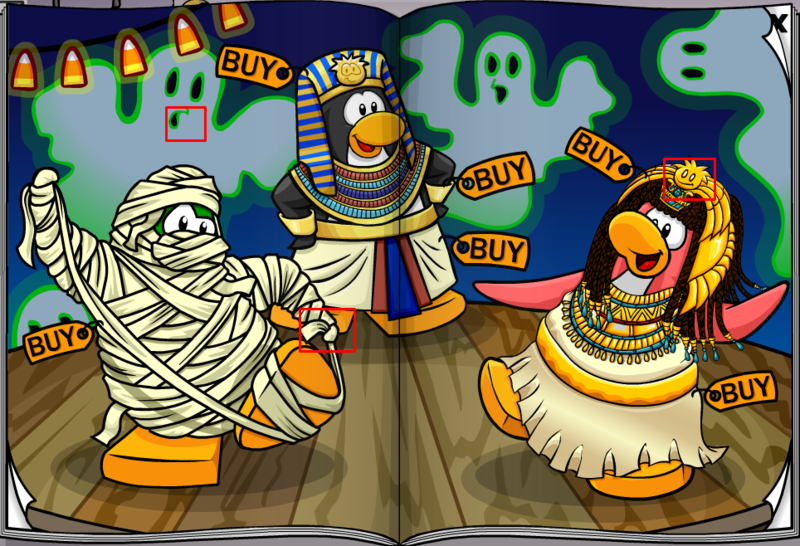 For the Ghost Costume, click on the knot on the right side of the Mummy Costume. The Crook and Flail are hidden on the mouth of the far right ghost in the background. 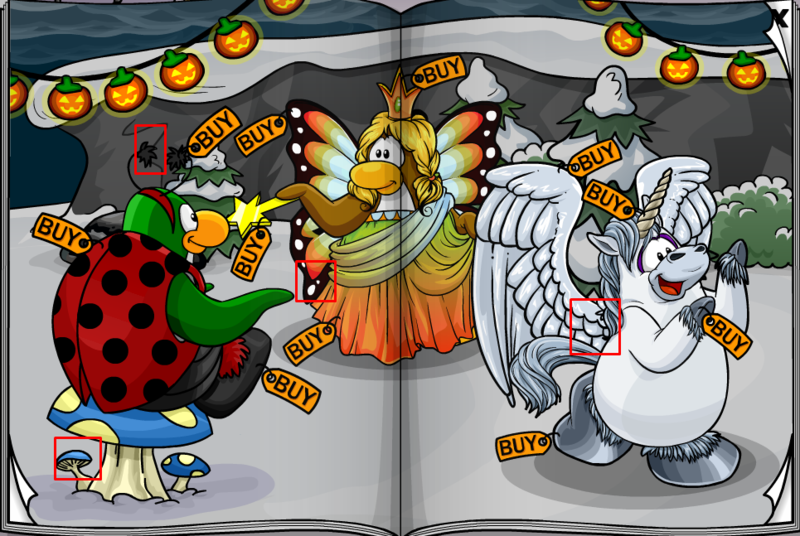 If you are looking for the corn costume, click on the small blue mushroom on the left side beneath the ladybug costume. The extra Cheesy Costume is located on the left fuzz ball of the Ladybug’s antennae. The big brow can be found in the bottom left of the wings of the middle penguin. 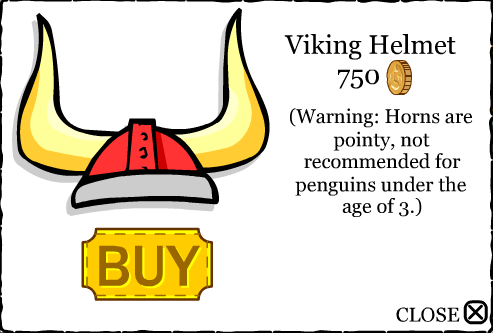 To purchase the Viking helmet click on the unicorn wings close to the body of the right penguin. 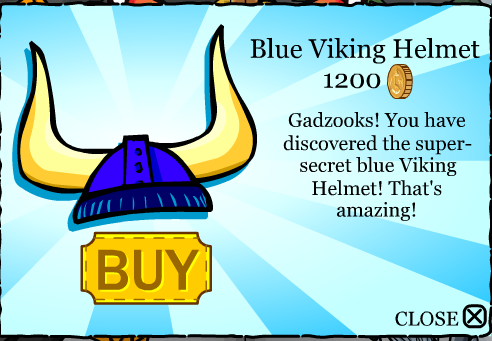 HINT: If you click on the Location of the Viking Helmet 3 times the Blue Viking Helmet will appear! The Magician’s wand is hidden on one of the Rooster’s nails on the right foot. 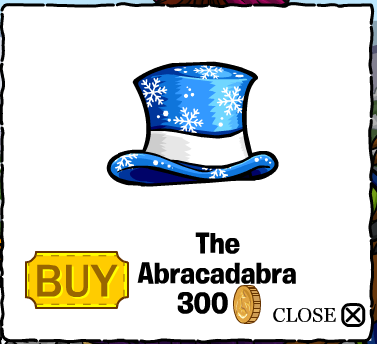 To get the Abracadabra Cape, click on the knot of the fortune tellers dress. CLicking on the cows right hand will reveal the Abracadabra. The Grape Ballon is located on the lock of the pink penguin’s bag. 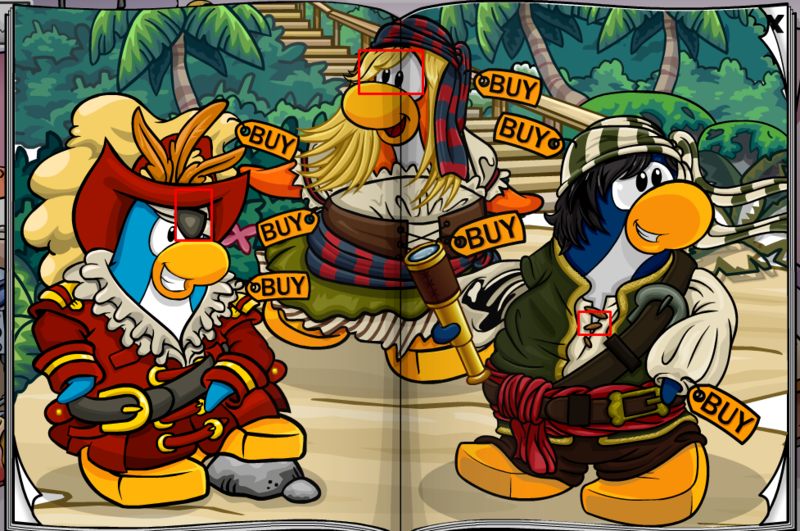 To buy the Red Bandana, click on the puffle icon on the lime green laptop. 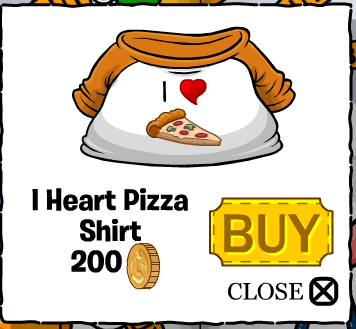 To reveal the I Heart Pizza Shirt click on the middle penguin’s hat. 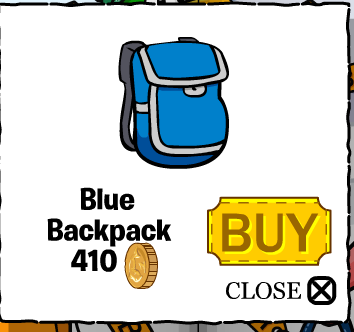 The Blue Backpack can be found under the left foot of the blue penguin. 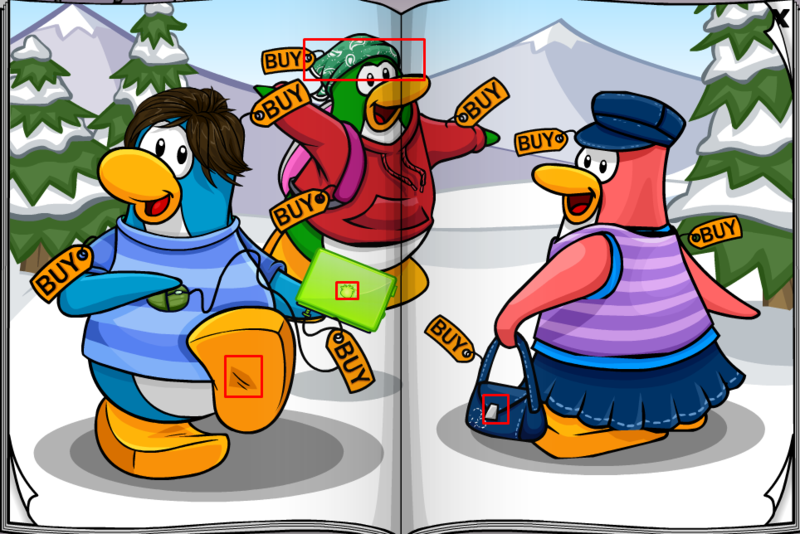 The Pink Flippers can be found on the shelf at the top of the right page. 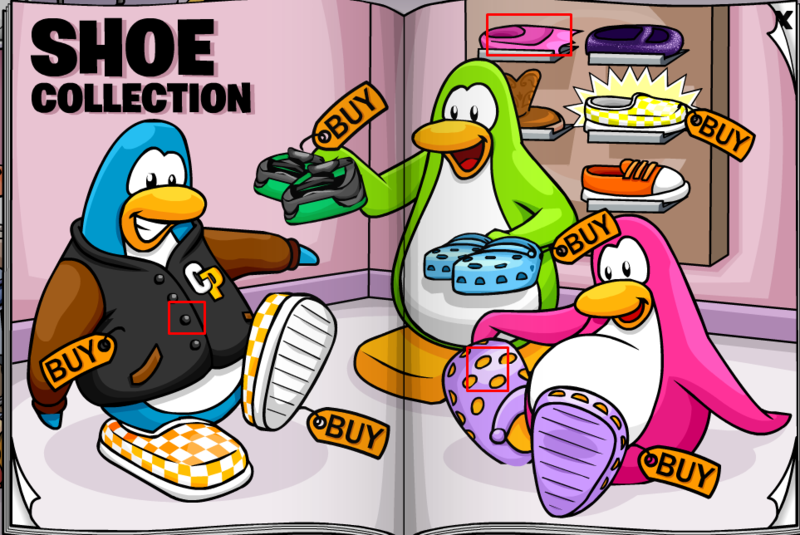 If you are looking for the Blue Letterman Jacket, you can find it on the pink penguin’s right foot. 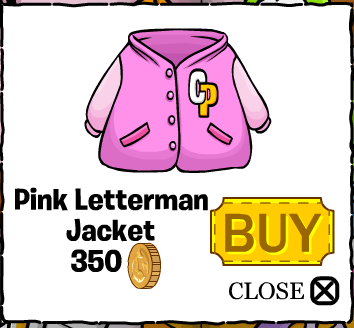 The Pink Letterman Jacket can be uncovered by clicking on the 3rd button of the blue penguin’s jacket. To acquire the Grape Balloon click on the strap of the backpack that the lime penguin is wearing. The Toboggan Suit can be bought by clicking on the pocket of the dark blue penguin. 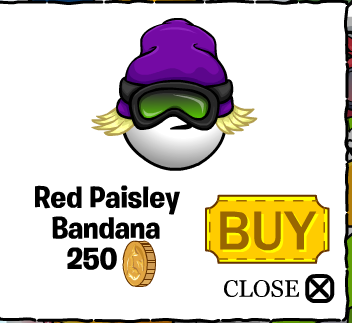 If you want to buy the Red Paisley Bandana click on the collar of the left penguin. 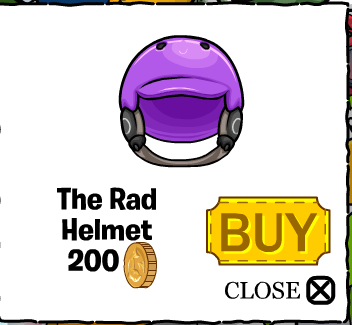 The Rad Helmet is hidden on the right arm of the middle penguin. 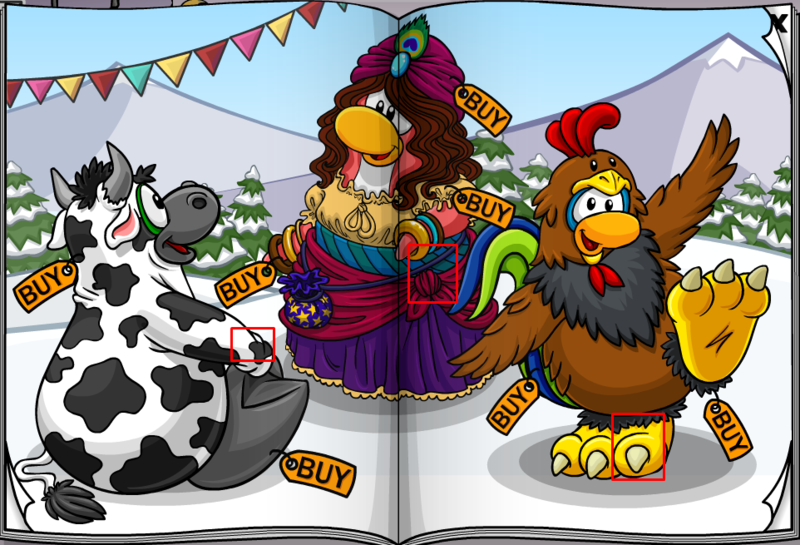 The Fuzzy Boots can be found by clicking on the left pocket of the pink penguin’s jacket. The Gnarly Helmet is located on the shoelaces of the yellow Penguin’s right shoe. The Summit Boots are hidden on the tip of the right tree on the left page. 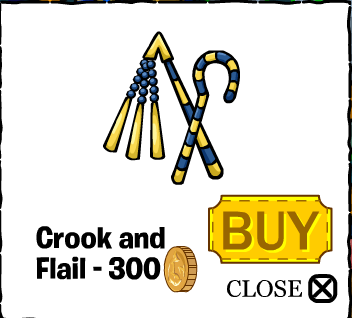 You can acquire the Blue Hoodie by clicking on the latch of the purple penguin’s bag. To buy the Pastel Suede jacket click on the arm of the Red Penguin. 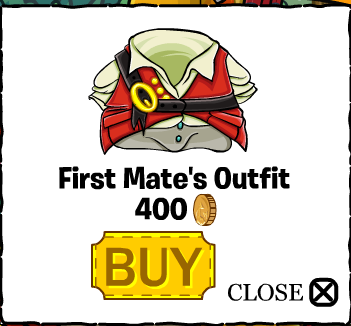 The Binoculars are revealed when you click on the right pirate’s shirt buttons. The First Mate’s Hat is hidden on the eyepatch of the left pirate. The First Mate’s Outfit is hidden beneath the eyes of the middle penguin. 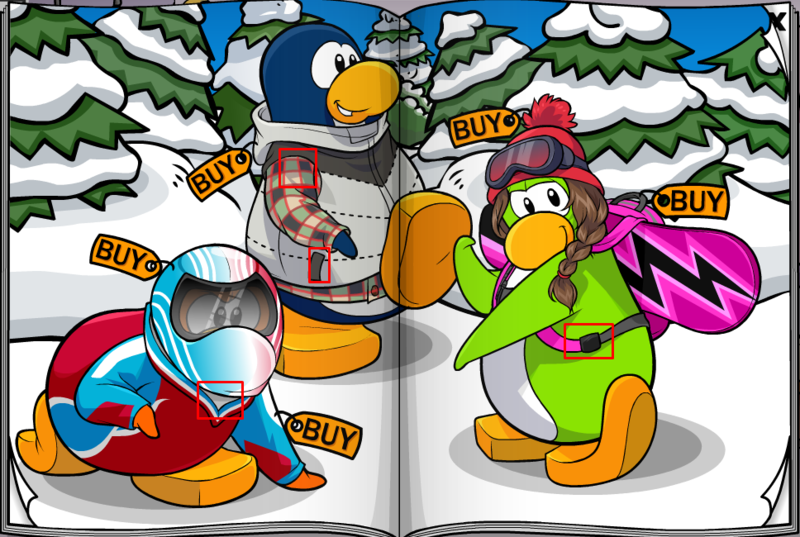 The Red Sunglasses will be revealed to you when you click on the bottom bow tie of the pink penguin’s dress. The Compass is located on the hat of the left penguin. To find the Canteen click on ribbon/laces of the yellow penguins swimming shorts. The Sports Life Jacket is hidden on one of the stars of the pink penguin’s swimming dress. 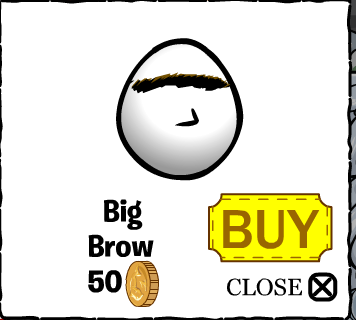 Thanks for reading and have fun buying these awesome and secret clothing items!